William Hathaway Jordan was born 17 March 1921 and served as an Ensign in the United States Navy. He died on 9 November 1943 (presumably in World War II) and was buried with full military honors in Arlington National Cemetery. 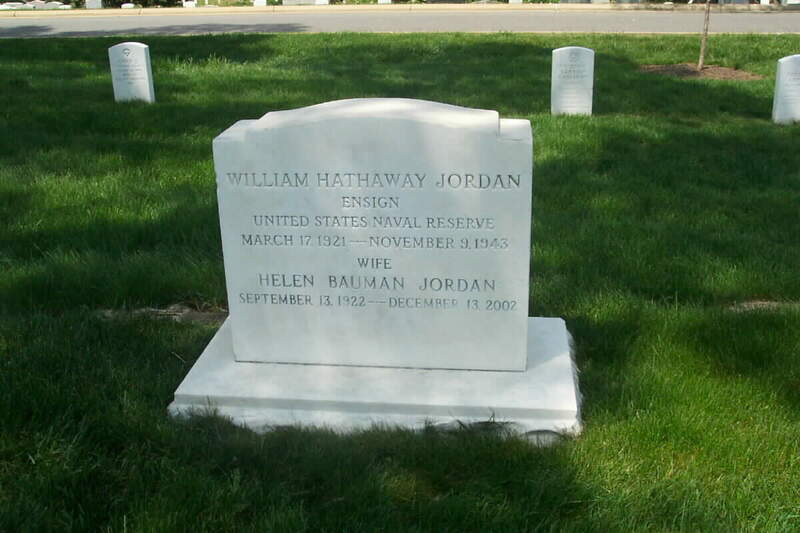 His wife, Helen Bauman Jordan (13 September 1922-13 December 2002) is buried with him. We are, of course, actively seeking additional information regarding these individuals.